The prime minister of New Zealand is working to prevent the Christchurch mosque shooter from gaining the infamy that follows so many mass shooters after their carnage. In an emotional ministerial statement on Tuesday, Prime Minister Jacinda Ardern vowed never to publicly speak the name of the shooter who killed 50 people in two Christchurch mosques. He may have sought notoriety, but we in New Zealand will give him nothing, not even his name. “And to others I implore you: speak the names of those who were lost rather than the name of the man who took them. He may have sought notoriety, but we in New Zealand will give him nothing, not even his name,” she said. 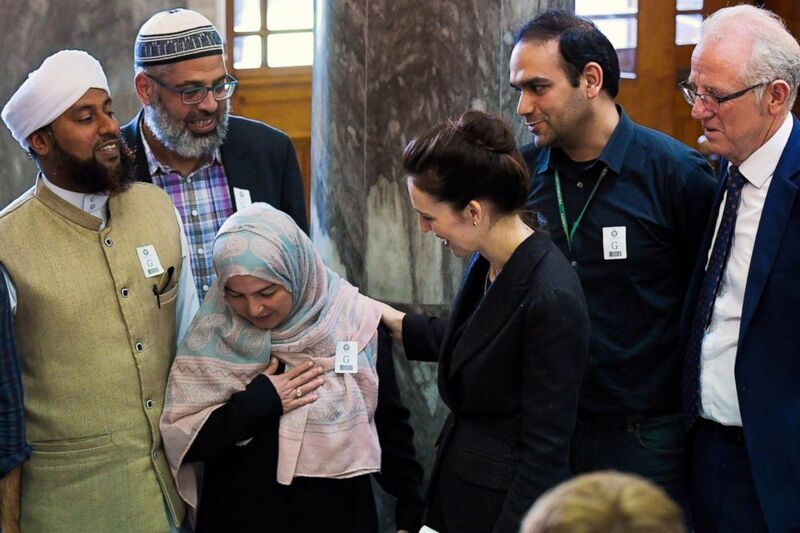 (Dave Lintott/AFP/Getty Images) New Zealand Prime Minister Jacinda Ardern meets with Muslim community leaders after the Parliament session in Wellington on March 19, 2019. Many elements of the Friday shooting — including the shooter’s decision to livestream the attacks on social media and his purported release of a document espousing his alleged beliefs, which included white supremacist ideas — suggest that he sought national and international attention for the shooting or wanted to spread his message. The idea of not using a shooter’s name is not a new one, but it has been hard to implement. In 2012, in the aftermath of the shooting at a movie theater in Aurora, Colorado, then-President Barack Obama told victims’ relatives he would not use the shooter’s name in an effort to avoid giving him more attention, according to Politico reporting at the time. 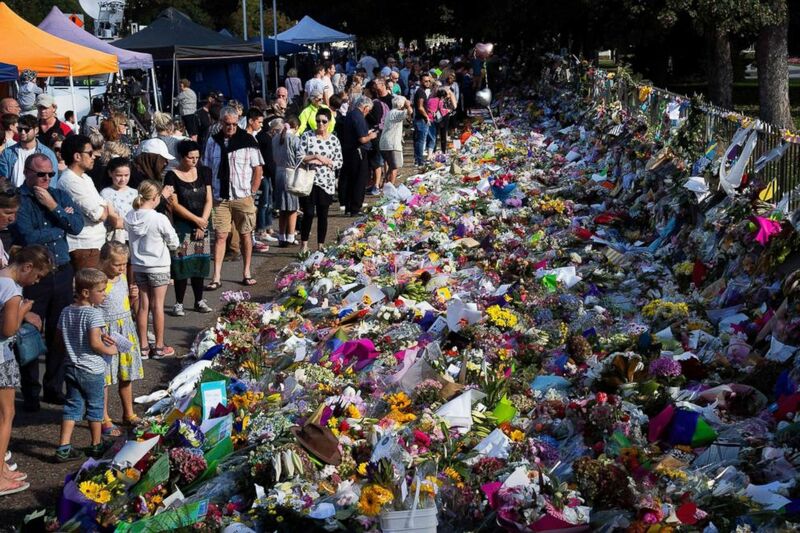 (Marty Melville/AFP/Getty Images) Floral tributes to those who were gunned down at the two mosques are seen against a wall bordering the Botanical Garden in Christchurch on March 19, 2019. “Don’t speak his name don’t show the footage. Seems that most agree on that. The questions is can the media do what’s right and pass up the ratings they’ll get by doing the opposite? I fear we all know the answer unfortunately,” he tweeted. The call from Ardern to not use the shooter’s name is being hailed by many online as the right approach. She received a great deal of praise on Twitter, with the hashtag #NoNotoriety spreading overnight.